Adapted from a talk at the annual Earth Day celebration sponsored by the Great Waters Group of the Sierra Club. When I decided in 1999 to name my book Urban Wilderness, I had never heard the term. I thought I’d found a new, wonderfully paradoxical metaphor for the powerful experiences I’d had in Milwaukee. I found out later that someone else had a book so named back in the 1980’s about New York City’s parks, but the term certainly was not in common usage. Today, it’s a different story. Google alerts me whenever someone in cyberspace uses the term and it happens a couple times a week. I think it is an indication of how far we’ve come since 1999. Definitions of “urban wilderness” generally emphasize two things: First, the ability of a natural area to sustain a level of biodiversity that is not typical of urban parks; and second, the aesthetic of wildness, which is to say an appearance of not being managed (almost universally an illusion). The idea of “urban wilderness,” with all its contradictions, challenges, and aspirations, seems part of the spirit of the times. I consider it a hopeful measure of how we see ourselves in the world. To embrace the idea of urban wilderness is to welcome nature into our lives wherever we live, especially in cities or in suburbs. This may not seem like a radical notion. After all, the Sierra Club has been caring for the earth for over a hundred years. But during most of that time “nature” meant pristine parklands, usually far away and in need of protection from ourselves. Truly more radical, “urban wilderness” expresses the idea that we can enjoy valuable experiences with nature without leaving the city. Olmsted conceived something like it, to be sure, but the casual way the term is used today seems a recent shift in public awareness. As our cities grow ever larger (which they must because high-density living is the only sensible way to avoid sprawl), we will need more opportunities to spend time in relatively wild nature – not just parks – within our urban communities. We must be vigilant constantly about what little parkland and open spaces we have left. Although this requires leadership, it is too important to be left solely to traditional “environmental advocates.” Open green spaces are simultaneously the most important places to save for public use as parklands and the easiest to exploit for economic development. In contrast to the usual scenarios in which “environmentalists” are pitted against “developers,” we cannot afford to see this as a conflict between “good and evil.” We need economic development. We also need to preserve green space. The questions are where and how. I believe “urban wilderness” is a hopeful idea. But it is also a challenging one. 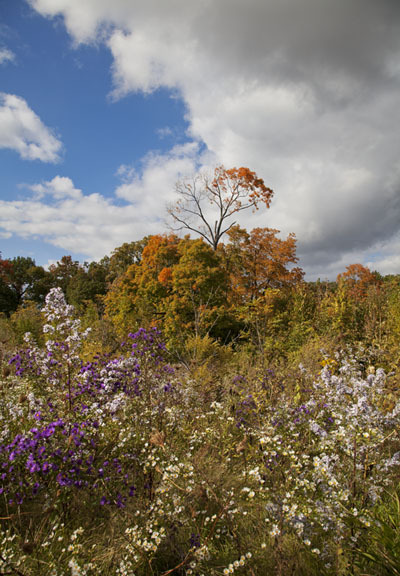 Its central paradox is that urban natural areas are not natural. Their existence depends on deliberate decision-making, planning, and – yes – management. Wherever there is open space there will be pressure to take advantage of it. Conflicts often arise out of genuine needs that seem to be in opposition. I don’t have to look far from home for examples. 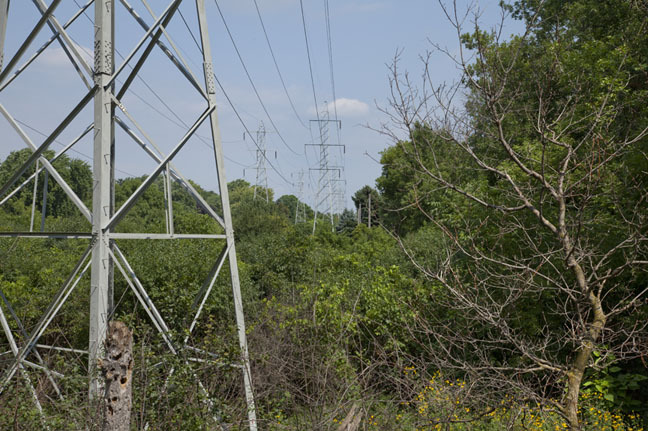 We Energies and the American Transmission Company want to run power lines through Milwaukee County’s Underwood Creek Parkway. That has never happened before; thus, it would set a tragic precedent. The plan is broadly and justifiably opposed. But the problem is complex. We all bear responsibility for the need to have power lines because of our energy-intensive lifestyles. We also need unsullied parks and parkways. Any alternative route must acceptable to We Energies – and all stakeholders – as well as the outraged public. But an alternative must be found. Another example is the Milwaukee County Grounds, where most of the land once considered for economic development has been preserved as open green space. 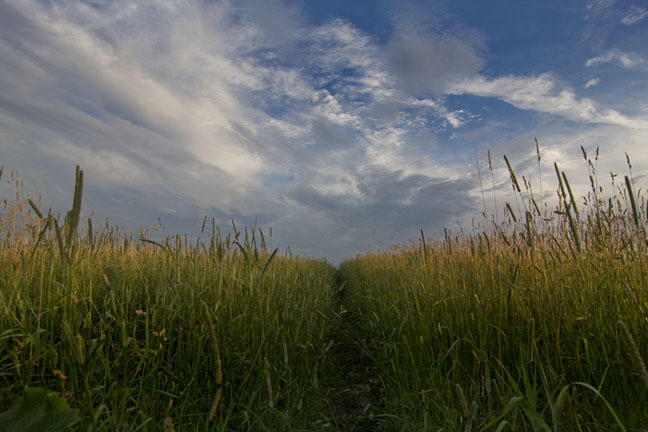 But after more than ten years of public pressure to “preserve the County Grounds,” and after many compromises were reached, one of the most beautiful sections of this remarkable landscape remains unprotected and zoned for economic development. Ronald McDonald House provides an indisputably good service. They need to expand. The Milwaukee County Regional Medical Complex, which serves the health needs of thousands of people from all over the region and beyond, continues to grow. There is no evil here. These and other stakeholders -- everyone in the community -- must agree that saving such a beautiful natural place as the County Grounds is in their own interest, which it is. Managing an “urban wilderness” involves balancing myriad competing interests that rarely can be conveniently dismissed as a struggle for good versus evil. 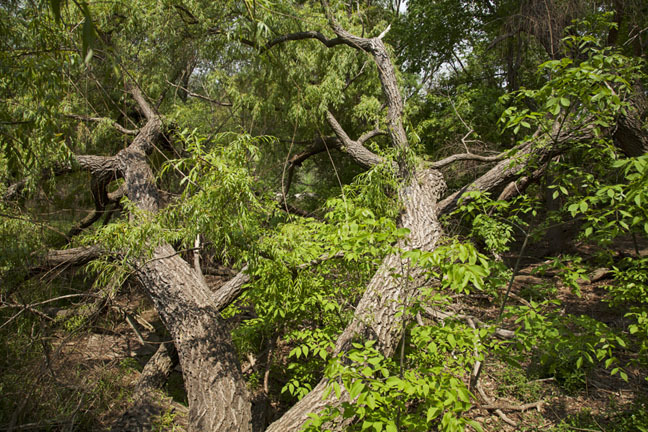 To paraphrase Ken Leinbach, director of the Urban Ecology Center, “this game of preserving, managing, and restoring very public green space in our fair city is not a game for the faint-hearted. Trying to accommodate one user often alienates another.” Avoiding the polarization that is so commonplace today is hard work – but essential if we are to maximize the potential of our urban green spaces. It makes good economic sense to preserve green space in cities where, to be physically and psychologically healthy, people need access to nature. The evidence for this is well documented. All across the nation, civic and business leaders, and the general public, are beginning to promote healthy, sustainable urban environments that include natural areas. As Peter Harnik, author of Urban Green: Innovative Parks for Resurgent Cities, wrote, “Cities are vying with one another for ‘best park system’ and the ‘livability crown.’” I’ve long thought Milwaukee could be a contender. Instead, parks budgets continue to dwindle and shortsighted land-use policies prevail. We must always keep the big picture in mind. Many ingredients make up resilient, sustainable, and livable cities, including a vibrant economy. One of the most important ingredients is excellent parks and natural areas. 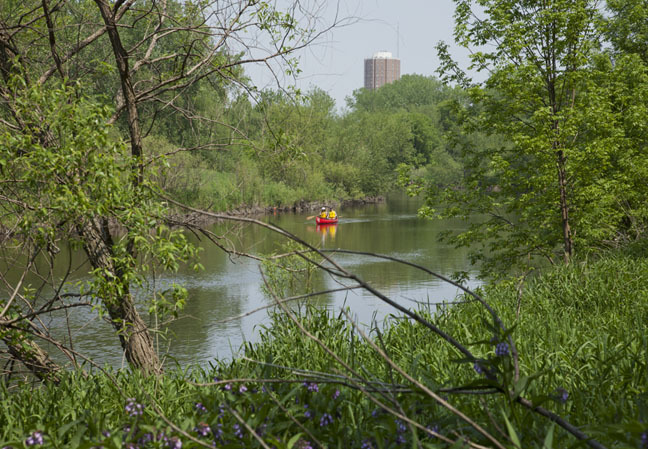 We residents of Milwaukee County have been endowed with one of the nation’s best park systems. Instead of continuing to nibble away at our greatest asset, it’s time we recognize and promote their vitality. Let’s embrace nature and confront the challenges with the hope embodied in the idea of urban wilderness. Buffalo Bayou, Houston Texas. Part 2. Buffalo Bayou, Houston Texas. Part 1.